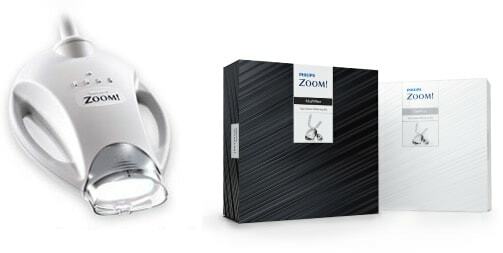 With Zoom!, a revolutionary new in-surgery whitening procedure, your teeth can be lightened by an average of up to 8 shades, giving you a new brighter smile. This whitening technique will professionally lighten your teeth in one visit. A whitening gel is applied to your teeth and a powerful LED light is then used to activate and help increase the gels effectiveness. We still recommend a component of home whitening to ‘lock in’ the result. Speak to your dentist about all the available options.